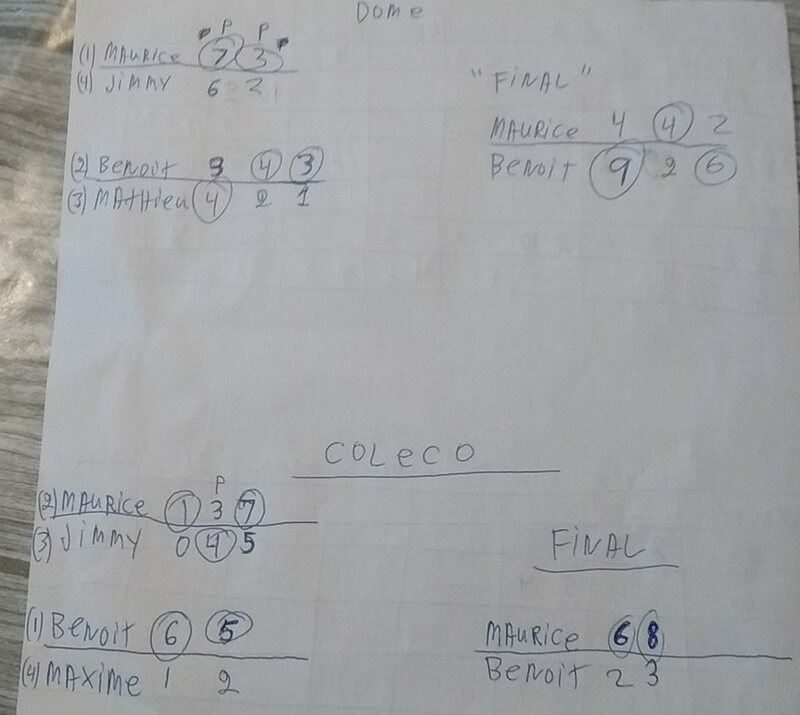 At the dome, Benoit won the title of champion against Maurice in a series of 3 games. 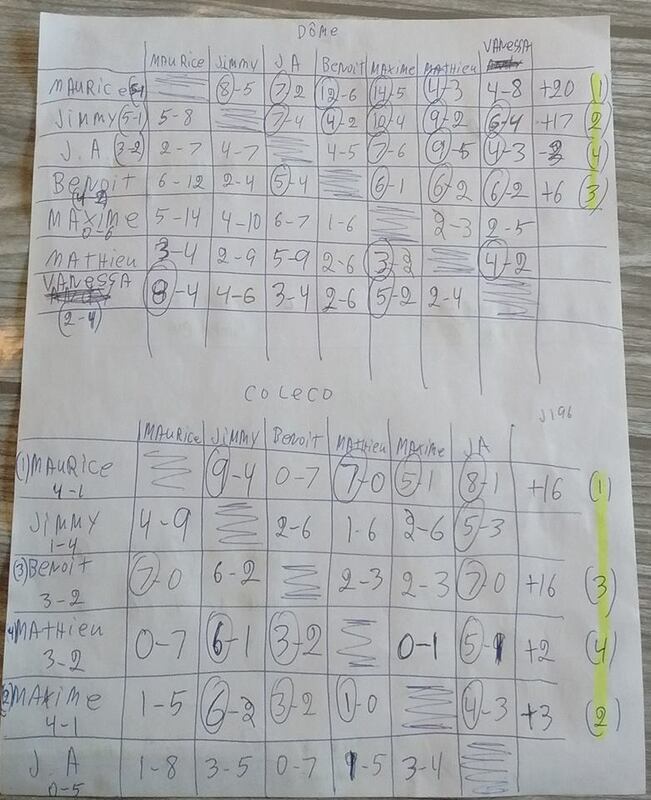 In the semifinals, Maurice defeated Jimmy in a tight two-game series with a controversial outcome due to Jimmy’s many “in and out” events. 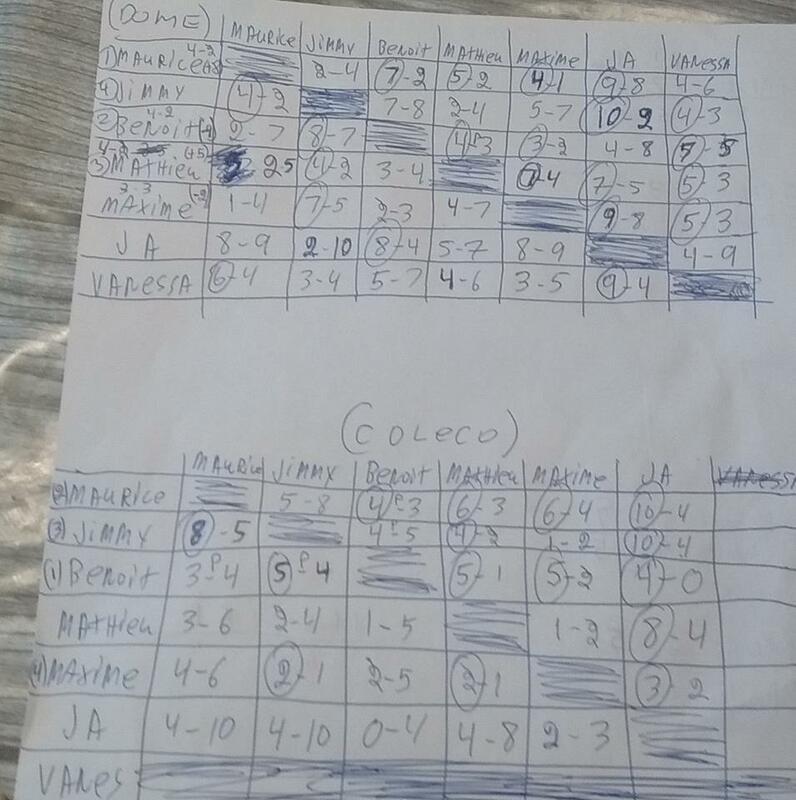 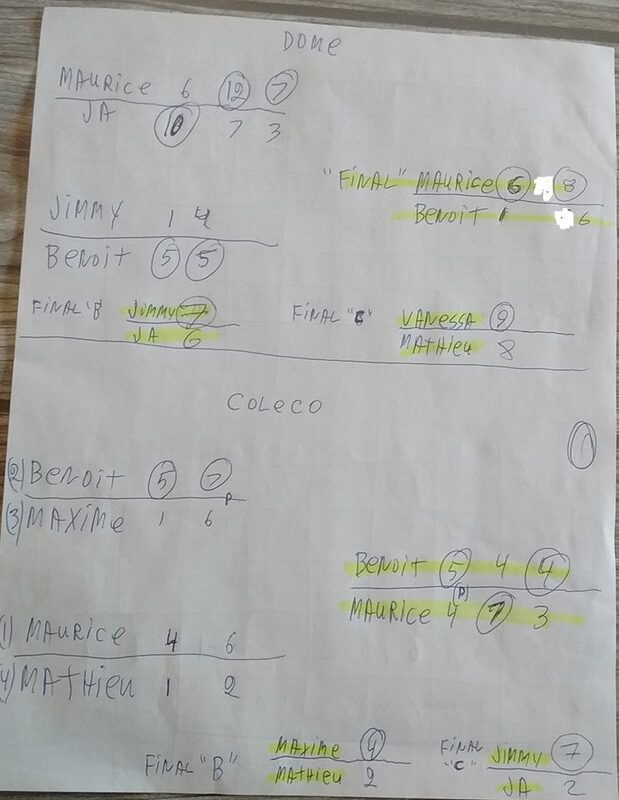 Note also a significant improvement of Mathieu and Maxime and the good performance of Vanessa; At Coleco, Maurice won the final in two games against Benoit and in the semifinal Jimmy did not make the task easy in Maurice in a series of 3 games still very tight.